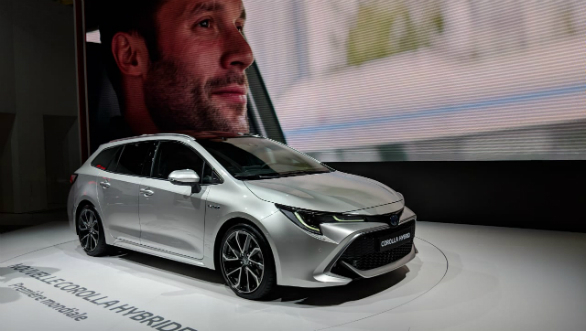 The biggest draw at the Toyota stand during the 2018 Paris Motor Show was the latest generation Toyota Corolla hatchback's European debut. 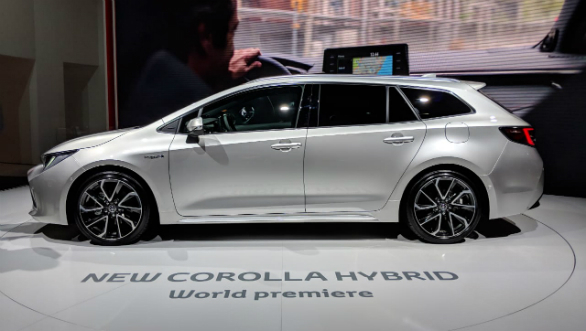 Also making a world debut was the hybrid version of the Corolla hybrid, in estate Touring form. The Touring uses the same powertrains as the hatchback. The petrol-only version uses a 1.2-litre turbo motor which puts out 117PS. There are two hybrid options available. The 1.8-litre version puts out 125PS and the 2.0-litre version uses a 180PS motor. 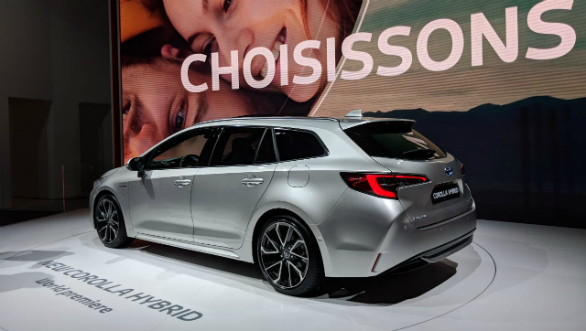 The Toyota Corolla is based on Toyota's new Toyota New Global Architecture (TNGA) platform and is effectively the US-spec version of the Auris hatchback revealed at the Geneva Motor Show a few months back. The car is now 38.1mm longer, 30.4mm wider and 25.4mm lower than its predecessor with most of the length being added to the wheelbase. The exterior design of the new car is more aggressive than the outgoing model, with LED lighting throughout, and follows the design language of its American market Camry and C-HR small SUV. The all-black interiors have also been redesigned but the simple design theme of the earlier car carries over. The major additions are an all-digital instrument cluster and a new 8-inch floating touchscreen on the centre console. The infotainment now has Android Auto/Apple Car Play as well as Amazon Alexa integration. The American car will be available with Toyota's latest active safety tech suite that comes with automatic high-beam, a pedestrian-detecting pre-collision system, lane departure warning and lane-keep assist. The suspension has also been given a sportier tune as compared to the earlier car.